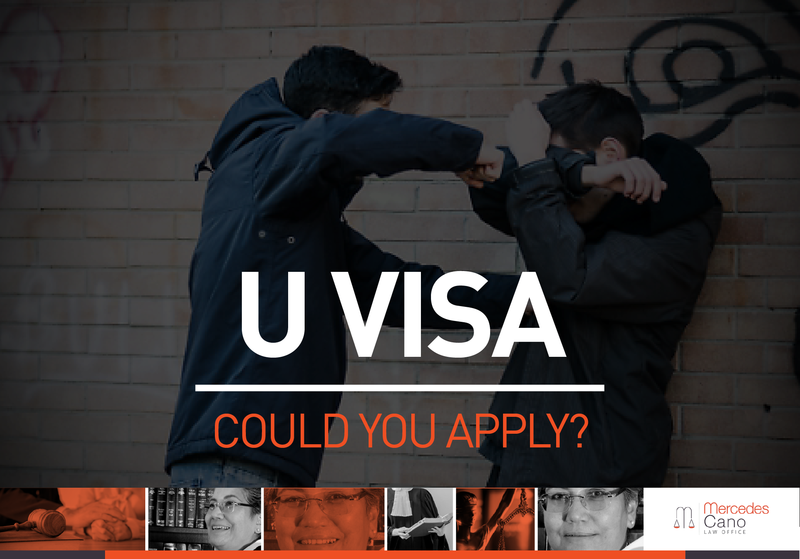 A U-Visa allows victims of certain crimes to stay in the United States legally. This visa was created to ensure that foreign victims of the eligible crimes to stay in the Unites States so as to provide law enforcement officials and prosecutors with the apprehension and prosecuting of criminals. HomeBlogNoticiasWhat is a U Visa? If granted a U-Visa you will receive an employment authorization document and you will be able to live in the U.S. legally for four years and after three years you can apply for a green card and stay in the U.S. permanently. Your family members may also be eligible to receive a U- Visa. You must have been a victim of a “qualifying criminal activity” and the crime must have occurred in the United States or violated U.S. law. 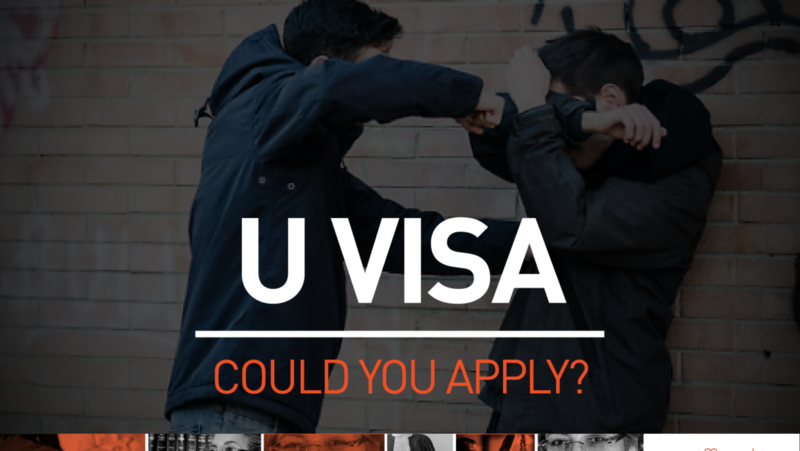 In certain crimes such as murder, indirect and bystanders may also be eligible to apply for a U-Visa. You must have useful information about the crime. You must be willing to cooperate with law enforcement. You must have suffered substantial physical or psychological abuse as a result of the criminal activity. You are admissible to the U.S. or you are applying for a waiver. Furthermore, you will need a law enforcement official, be it a police officer or a prosecutor, to complete a “certificate of helpfulness”, Form I-918, Supplement B, on your behalf. Certification will prove that you were indeed a victim of a qualifying criminal activity, you have information that is or will be useful for the arrest or prosecution of the perpetrator, and that you were or are willing to cooperate with law enforcement officials. Another important factor for your petition is proving that you have suffered substantial physical or mental abuse, merely being a victim of a qualifying crime is not sufficient. You will have to provide evidence such as affidavits and medical records that prove that you suffered a substantial injury. Waiver if you are considered inadmissible to the U.S. If you are considered inadmissible to enter the U.S. due to an immigration violation or any other barring reason you will have to file with USCIS an Application to for Advance Permission to enter the US., Form I-192. This form may work as a waiver to certain inadmissible grounds. Please do check with an expert in this field to make sure you can apply and have your waiver granted. This application can be submitted with your petition or after it has been approved. Derivative relatives must also be admissible to the U.S. and must have good moral character. If you have been a victim of the above listed crimes you should commence your application process as soon as possible. Always remember that cooperation with law enforcement agencies will greatly improve your chances obtaining a Certification of Helpfulness, the first and most important procedural step in your path to obtaining a U-Visa, and eventually a U-Visa. At Mercedes Cano we are here to help you. To have your case reviewed by our office, please contact us at 718-505-8506 or please fill out our Contact Form. Please follow us on social media Facebook, Twitter, YouTube or sign up to our email list where we shall further update you on the latest immigration news.